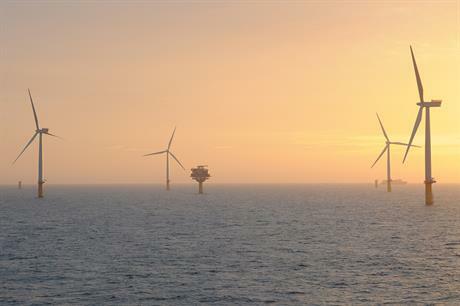 NORWAY: Nine months after announcing it would stop investing in offshore wind, Statkraft has agreed with partner Statoil to divest its interest in three UK offshore projects. In December 2015, the Norwegian state-owned developer said it was stopping investment in offshore wind, claiming it was too "capital intensive". Now, the company is looking to divest its entire offshore wind portfolio. Under the letter of intent with compatriot Statoil, Statkraft will transfer its shares and operatorship of the 317MW Sheringham Shoal project by January 2017, subject to regulatory approvals. The two developers each own a 40% stake in the project, the remaining 20% owned by the Green Investment Bank. "With Statoil primed to lead operations of the neighbouring 402MW Dudgeon project and Statkraft evaluating a divestment, it makes sense to transfer the Sheringham Shoal operatorship to Statoil," said Statkraft executive vice president Steinar Bysveen. The developer is also considering withdrawing from the under-construction 402MW Dudgeon site. Dudgeon is also part-owned by renewable energy firm Masdar and Statoil, which is also acting as the project operator. Part of the agreement also includes an understanding that Statkraft's 25% stake in the Dogger Bank consortium will be sold to Statoil, following negotiations with the two other equal stake holders Innogy (formerly RWE Innogy) and SSE, which is also looking to limit its activities in the 4.8GW cluster. Statkraft will still partner with Innogy at the 900MW Triton Knoll offshore project, which completed permitting this week. At the December announcement, Statkraft said it would continue to help develop Triton Knoll to a final investment decision before selling its stake. "We're currently re-evaluating all of our existing offshore wind assets, with the exception of Triton Knoll, where we remain committed to working with Innogy to develop the project towards an investment decision before bringing in new owners. "We welcome the recent consent award for the electrical system from the Secretary of State and together with our partner Innogy, our focus now is to ensure the project enters the next CfD auction as one of the most cost competitive offshore wind projects to date," Bysveen added today.